Sri Lankan captain Angelo Mathews has been declared fit for their upcoming match against India in the Champions Trophy. He has recovered from his calf injury. He is unlikely to bowl and even if he does bowl, it is unlikely that he will complete his entire quota of overs. He missed the opening match against South Africa, in which Upul Tharanga captained the side. The injury is much better now. I could have probably played the last game, but there was a chance of risk, so the management and the selectors decided that I shouldn't play. But I'm fully fit now. I won't be bowling, but I'm fully fit to play as a batsman. It will be a blow to Sri Lanka as Mathews has always been one of their key bowlers. Upul Tharanga captained the side in his absence but has been banned for 2 ODIs for an extremely slow over rate in the match vs South Africa. 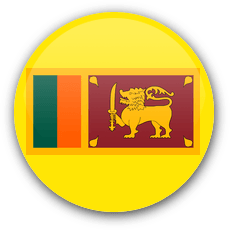 Sri Lanka's next match is against India and to stay alive in the competition, Sri Lanka must defeat India as well as Pakistan.